The Carlsbad Village Association is inviting everyone to join them this Saturday night (December 2, 2017) for the Carlsbad Village Night of Lights. This much anticipated event will come alive with holiday spirit and cheer! Merchant hospitality, live music, caroling, festive window decorations, and more. Spend the evening with us from 5:00pm to 8:00pm and let the Village start your holidays with a full heart! 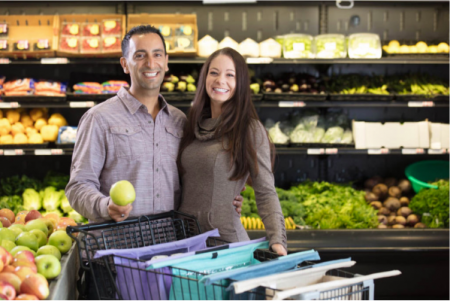 Ring in the holidays with family and friends in Carlsbad Village. For the official schedule and all the participating restaurants and retailers, please follow the jump. The La Costa 35 Athletic Club, a local nonprofit organization, hosted its 7th Annual Texas Hold ‘Em Poker Tournament on November 4, benefiting the Boys & Girls Clubs of Carlsbad. 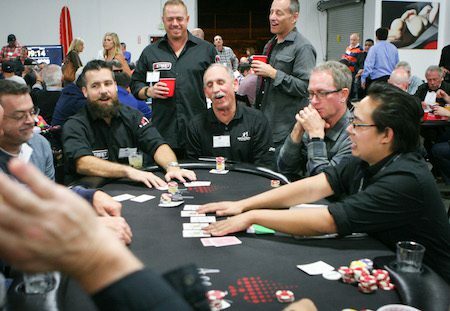 Begun in 2011 as a way to give back to the community, first poker tournament was held at the then under construction Bressi Ranch Boys & Girls Clubhouse. The event sold out the past several years, so organizers moved it to the Rancho Santa Fe Motor Club and Storage – which boasts 15,000 feet of warehouse space along with an incredible array of classic and antique cars. Since its inception, the event has nearly tripled in attendance and raised over $250,000. 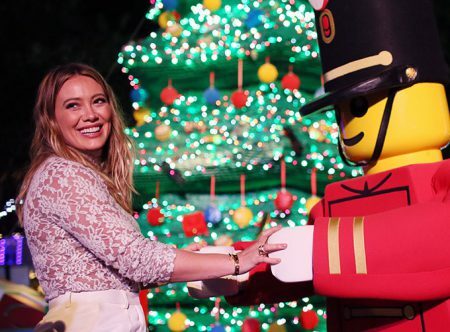 Award-winning actress and singer Hilary Duff helped Santa pull the switch to light the world’s largest LEGO® Christmas tree at Legoland California Resort during the 15th annual tree lighting ceremony in Carlsbad, California last night (Monday, November 27, 2017). At the ceremony, Legoland California Resort donated $10,000 on Duff’s behalf to Baby2Baby, which provides low-income children ages 0-12 years with diapers, clothing and other basic necessities. 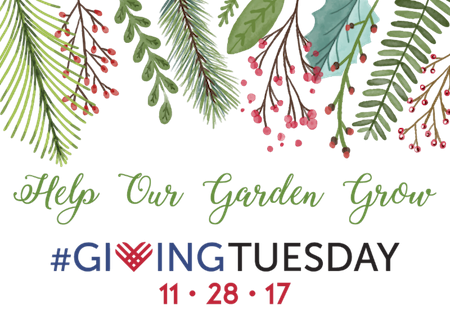 By distributing to non-profit partner organizations including homeless and domestic violence shelters, Head Start programs, foster care programs and children’s hospitals, Baby2Baby will serve more than 150,000 children in Los Angeles this year and tens of thousands more across the country through the Baby2Baby National Network. For the official word from Legoland, please follow the jump. 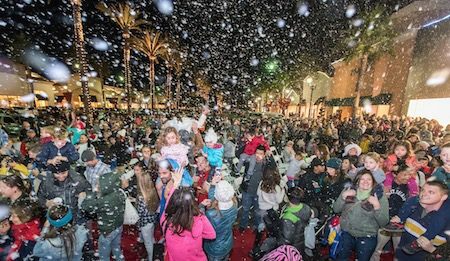 On Saturday, November 25, 2017 from 6 – 9 PM The Forum Carlsbad will celebrate their 15th Annual Lighting of the Forum with complimentary refreshments, a stage show by the Crown City Bombers, magical snowfall, a performance by the La Costa Canyon High School Marching Band, and the arrival of Santa Claus on a horse drawn sleigh. Joy in the fun and holiday merry making. 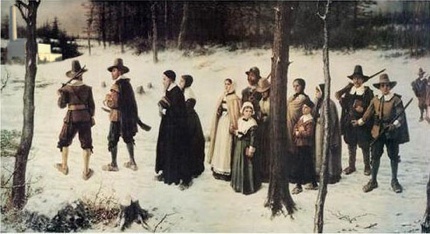 For all the details, please follow the jump. 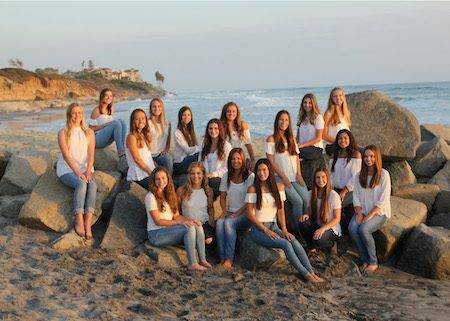 Carlsbad High School’s 12-time National Champion varsity dance team, the Lancer Dancers, will be performing in their annual holiday dance Showcase Thursday, Dec. 7 through Saturday, Dec. 9, on campus at the Carlsbad Cultural Arts Center. 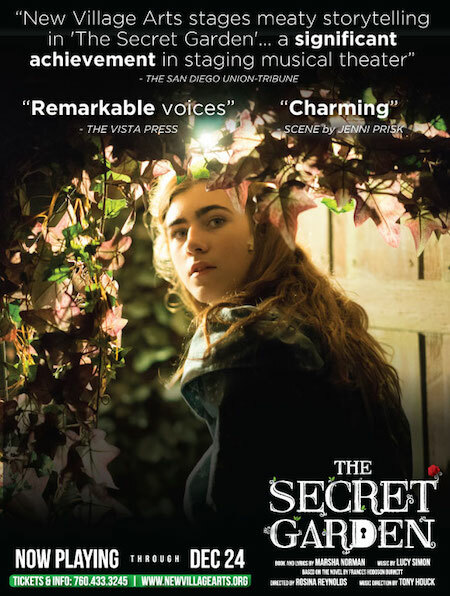 The shows begin at 7 p.m. Thursday-Saturday and a Saturday matinee is also offered at 2 p.m.
For all the official details, pleased follow the jump.